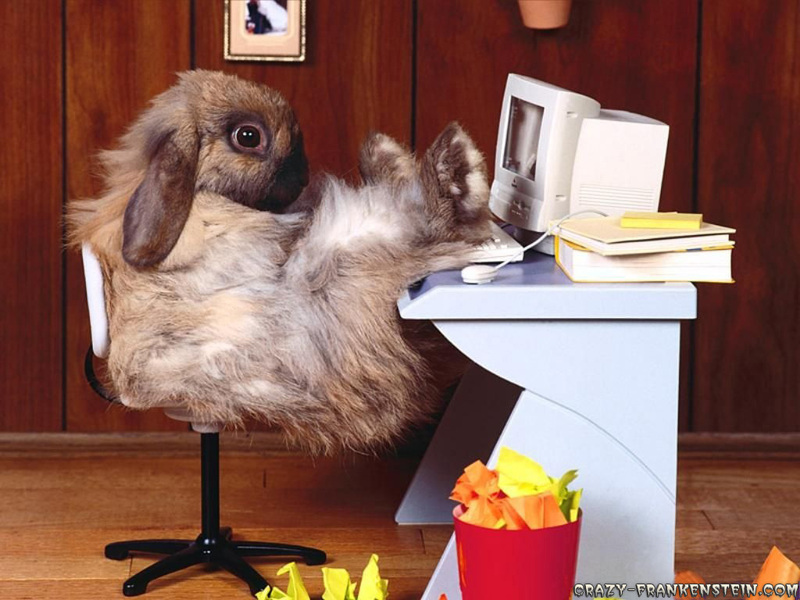 Here comes Peter Cottontail, hoppin’ down the blogging trail, bringing you another F-N-I-T-N.
Bringin’ every girl and boy, lots of nomenclature joy. Hippity hop, Funny Names In The News! I think this guy should be our unofficial mascot! No humans were harmed in the taking of this picture. Can’t say the same for toys or pocketbooks. On that youthful note, let’s start off this week’s FNITN with a precocious youngster and his quest to achieve the unachievable: get a toy out of one of those silly claw machines. 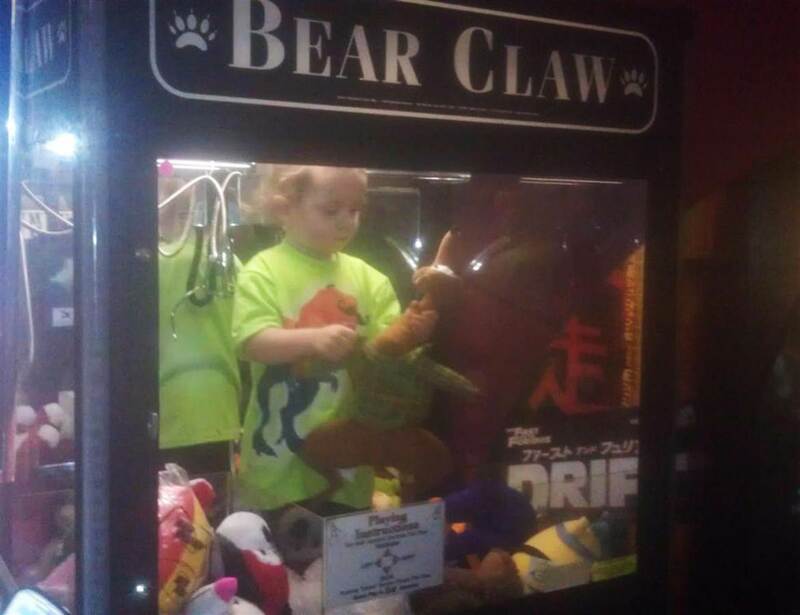 Turns out an unnamed tot from Lincoln, Nebraska climbed into a claw machine, achieving every young person’s dream, but at the same time getting stuck in the machine. If even an enterprising young human can’t get out of those things, how the heck do we expect a hackneyed claw and a plush treasure to do so?!? Now, our Awesome Infant Correspondent Dave found this one, but without a name provided, we’ll just have to assume that the child had a spectacular name, in a case of early onset Nominative Determinism. Of course, a blank slate is a true artist’s canvas, so perhaps it’s our job to anoint the youngster with a name befitting his snazziness. I propose Eustace Aloysius Crabamuffin – what say you? Do you have a better name for him? Sound off in the comments! That intro about new lives was set up to prime you for the saddest funny-named story in the news this week – the death of our beloved Peaches Honeyblossom Geldof (whose protesting was covered in detail by Mark “The Lark” Sackler. No information is provided on the cause of death, which was classified as “unexplained and sudden”, and Peaches will be missed by many. The legendary “oops” politician face. From the saddening to the slightly-more-maddening, Philandering Politico Correspondent Dave brings us news that another “moral majority” congressman from Louisiana was caught canoodling with a staffer. Sometimes it seems like those guys are the most likely to be up to something fishy. The most recent addition to the pantheon of “Family Values turned Family Upheaval” politicos is Louisiana’s Vance McAllister, whose only saving grace is that he chose a mistress with a positively delightful name: Melissa Peacock. In news that may apply to some of us more than others (but luckily none of us too much), our Bio-ish Correspondent Dave notes that a panel of experts are saying biomedical research in its current form is heading for a meltdown. That’s grim news, but let our spirits be uplifted by the fact that the authors of the report include Bruce Alberts, Marc Kirschner, Shirley Tilghman, and Harold Varmus. In those names, we trust! Lastly – and speaking of trust – Aquatic (and Only A Little Psychotic) Correspondent Dave drops the impressive news that a lady named Ocean Ramsey has been swimming with sharks. They call her “The Shark Whisperer”, and after viewing this lovely, remarkable footage, it’s hard to disagree! What a week! 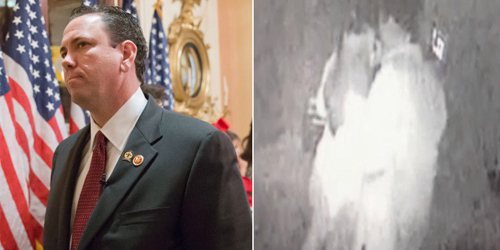 Rabbits to claws to Peaches to Congress to biomedicine to sharks! That’ll do it for Funny Names in the News 79! Enjoy yo’ Fridaysss! This entry was posted in Funny Names In The News and tagged entertainment, funny, humor, humour, names, science, sports. Bookmark the permalink. Loved that shark footage! Fantastic! By the way, love the mascot. And I’m sorry about Peaches. Aside from Mark’s post I never knew anything about her at all, and your link is the first time I had a good look at her. She was quite a beautiful woman. I think we should make this rabbit our mascot for real. And I frankly didn’t know much about Peaches Geldof either, but it’s sad to see such a funny-named (and by many accounts, very well-loved) person pass away at such a young age. Thanks! I must have brainstormed about that name for at least 28 seconds! UFO Catcher sounds awesome, and I agree about the shark footage. Amazing! “Eustace Aloysious Crabamuffin”, his initials would be pronounced “eek”. Hmmm. I didn’t even think of that, but I think it only adds to the awesomeness of the name! My one and only time to waterski 20 yrs ago was in a town called Eustace. I think Ocean is crazy and will one day get her arm bitten off, as sharks do not domesticate. You name a girl Ocean, and off she jaunts into it–as though you set her up. I feel sorry for kids named Dusty. And Rusty. Are you setting them up for filth and tetanus shots? That’s right… you’re one of the five people that come to mind when I think of Peaches. In no particular order, they are: Peaches (the raunchy electroclash musician), Peaches & Herb (of “Reunited” fame), Peaches Geldof, Peaches the Swedish child pop group who sang “Rosa Helikopter”, and KSBeth. That’s quite the hodgepodge pantheon of excellence right there! thanks for remembering that dave, i am in exciting company indeed. if other peaches start disappearing from this earth, i’m going to begin a conspiracy theory of some sort. So you’re saying you’re corresponding for your own pieces, Dave? Busy guy, you are. How you stay on top of it all I’ll never know. Learning so much, all the time. Ms. Peacock may have set herself up for those shenanigans with her last name.